Hardik Pandya's move to No 4 didn’t necessarily help the team management in understanding how the middle order is shaping up, or what repairs are needed to make it robust again. As Hardik Pandya walked in to bat at No 4 in Indore, there was surprise on Virat Kohli’s face. Clearly the Indian skipper, who was at the crease when Ajinkya Rahane got out, did not order this promotion. Later, Kohli revealed post-match that it was Ravi Shastri’s idea in order to keep the attacking momentum going. Of course, there is no denying that moving Pandya up to attack left-arm spinner Ashton Agar was a masterstroke. That it helped continue the aggressive impetus provided by Rahane and Rohit Sharma was unmistakable. That it worked like a charm as Pandya nearly finished the game and set up a 3-0 series win is undeniable. All of it though comes with a benefit of hindsight thanks to his 72-ball 78-run knock. 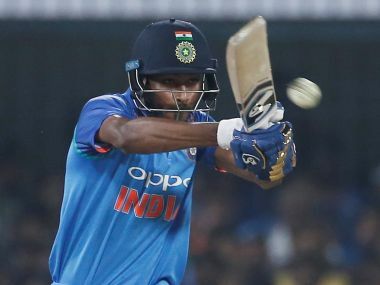 Pandya is in such grand form at present that nothing seems a challenge to him, whether it is smacking Pakistan’s attack out of the park in face of defeat, performing in whites against Sri Lanka without much First-Class background, or outsmarting Australia, who are usually the canniest opponents in world cricket. Even when India lost Kohli and Kedar Jadhav, there was no real danger of India losing their way with MS Dhoni yet to bat and only 88 runs needed. In a strange way, Pandya’s promotion made things as predictable as, say, Donald Trump making an absolute mockery of the US presidency. Even so, the question remains if this promotion helped India’s long-term plans. It is important to understand Shastri’s point of view before moving ahead. 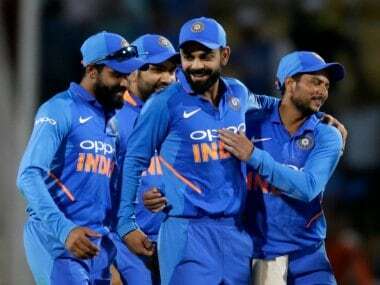 Whilst the selectors have an eye on the next World Cup, and their team selections obviously reflect that, in the heat of the moment, the captain and coach can only think about the immediate target — win the match and/or series. Shastri saw an opportunity to completely demoralize Australia and took it. And it worked, unlike Australia’s experimentation in the afternoon when Glenn Maxwell’s promotion only impeded their run scoring. The underlying point is yes, India won and Pandya proved his prowess in batting higher up the order. But again, this move didn’t necessarily help the team management in understanding how that creaky middle order is shaping up, or what repairs are needed to make it robust again. This, in particular, has to do with India’s current confusion about their No 4 position. After the Champions Trophy, the team management has put in serious effort in addressing problems up and down the lineup. 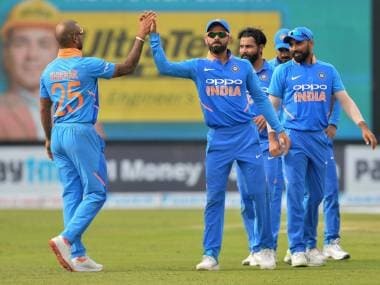 They fixed the spinners’ problem, the top-order has been fixed, MS Dhoni’s batting spot is fixed, the primary pacers have been identified, and of course Pandya was given more advanced roles to allow for quicker development. The No 4 conundrum, though, has escaped complete attention. It is not like they didn’t try. Before the Sri Lanka series, chief selector MSK Prasad was pretty clear in his views. 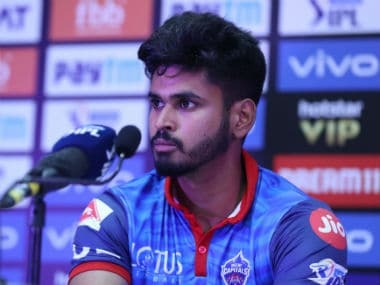 “KL Rahul will bat at No 4,” he had said. Kohli didn’t necessarily echo the same words because he doesn’t divulge team combinations in pre-match press conferences, but their thought process was pretty much aligned. Rahul was going to be tried in the middle order. As it turned out, Rahul batted against Lanka once each at Nos 3, 4 and 5, scoring 4, 17 and 7. Yes, that experiment was a failure and Rahul has been consigned to the bench ever since. Instead, Manish Pandey has found a spot in the playing XI. Now he didn’t come back into the side after 10 months at No 4. Instead, he batted at No 6 first, and then moved up to No 4 thanks to his form in the last two matches on the Lankan tour. 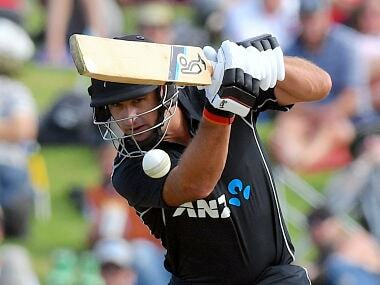 As is his wont, he struggled to get going against Australia, scoring 0 and 3 in the first two ODIs. There is a school of though here that Pandya’s promotion also prevented Australia from having a go at Pandey, who lacked runs before scoring 36 not out and helping finish the game in Indore. Fair enough, but the other school of thought herein says that he could have easily done what Pandya did on a great batting pitch, and indeed cemented his No 4 spot whilst reducing the management’s headache. As such, there are obvious questions to ask here. That Pandya and Pandey were able to easily change hands at performing each other’s roles augurs well for flexibility. At the same time though, it doesn’t help in finding longevity. Unless Pandya can do this job in the near future, but that hasn’t been spelled out by the team management either. 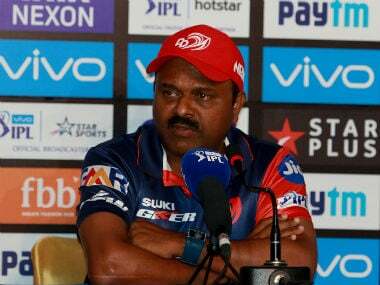 And consequently, it heaps additional unpredictability on the likes of Pandey and Rahul, whose roles are yet to be clearly outlined. Additionally, if Pandya is to be elevated higher up in the future as well, India will have to start the process of finding another finisher all over again. On Sunday then, Rahul sat on the bench, while Pandey was made to wait for his chance when he needed to be out in the middle, finding inspiration in a tough situation. Pandya, meanwhile, proved that he is an invaluable asset all over again as India wrapped up the series with two matches to go. Nobody, though, is any wiser about how that middle order is shaping up.